We’ve seen the Kia cee’d five-door hatchback, Kia’s C-segment competitor for the European market. 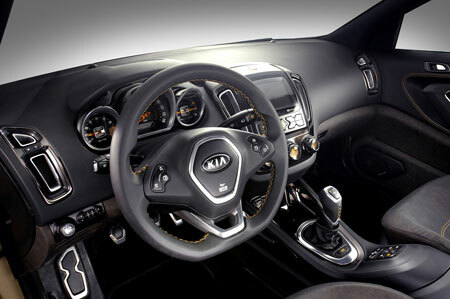 Kia announced that soon after the 5-door hatch is launched, a station wagon version as well as a sporty 3-door version will be launched. This is the Kia pro_cee’d hatchback, to be shown at the Paris Motor Show later this month alongside it’s production 5-door cee’d brother. 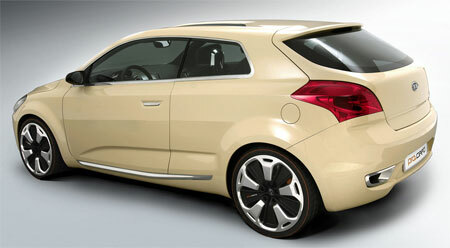 The Kia pro_cee’d concept was developed by Kia’s team in Russelsheim under it’s design chief Gegory Guillaume. The concept comes in a colour Kia called Cashew – which is somewhat like a flat brown but with a small percentage of metal flakes to give it a little sparkle. 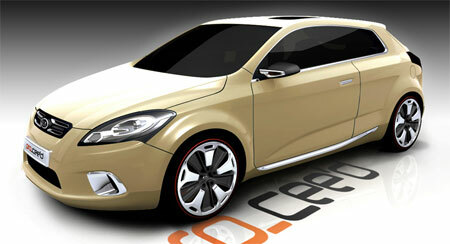 The pro_cee’d has a roofline 25mm lower compared to the production 5-door cee’d, to give it a sportier image. Further enhancing it’s sporty image is the huge 19 inch wheels that fill up the wheel arches, wrapped with 265/30/R19 tyres.